In Paul's second letter to the church at Corinth we see Paul chastising them for something we all need to be wary of - a different jesus, a different gospel, and a different spirit. He refers to "super apostles" that had infiltrated the church and led people away from the real Gospel and real Jesus. Perhaps the saddest thing he says in the key verse is that the people put up with the different jesus easily enough. That they had no sense of protection over what they followed and believed in. Fast forward to 2017 and we see that as Ecclesiastes teaches us, there is nothing new under the sun. The Hillsong brand is a different gospel, under a different spirit, following a different jesus. Lead Pastor Brian Houston has created an international brand that earns over 100 million dollars per year. The different gospel is one of wealth and prosperity that is willing to compromise to avoid taking any stances that might alienate potential hillsongers. 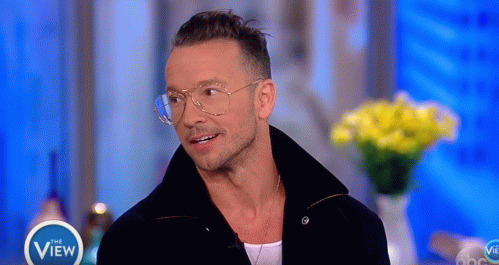 The New York Hillsong site pastor is hipster Carl Lentz. Carl follows the Hillsong model religiously and as such presents a different jesus. A cool and relevant jesus that just wants to let you know how much he loves you. That is how you build a purpose driven church. We have seen the level of compromise before from Lentz. When he went on the Oprah Winfrey show he was asked about hot button social issues and answered with a lame, "we have a stance on love and everything else is a conversation." Then he went on the say that you did not have to be a Christian to believe in God. When he correctly was criticized for these mistakes, he fumbled through a silly defense blaming anyone who was critical and claiming they did not understand his church. Therein lies some of the problem because it is not supposed to be his church. But when you preach a different gospel and lead people to a different jesus, it is also a different church. Lentz apparently does not learn either because he chose to go back onto a secular media program and appeared ill prepared for the social questions everyone knew would come. On The View, he was asked if having an abortion was a sin in his church. Beloved you can answer this question artfully, respectfully and without denouncing people. What you cannot do is obfuscate, dodge, and try to rise above the fray. You can't say, "well people have to live their convictions" or "that's such a broad question for me." You see beloved it is not a broad question at all. We believe that the taking of innocent life is a sin and that specific scriptures teach us that life begins at conception. Now, you can say that these are our views based upon the Bible. You can point out that God forgives sins. This was an opportunity on a national television program to present the real Gospel and the real Jesus. Carl Lentz however does not appear to know the real Jesus and makes his living teaching a different one. The truly sad disconnect is that Lentz said that he will always point people to Jesus, after he just finished pointing everyone away from Him. Yes Carl, you hit it right on the head there. We do know a different Jesus than you do. Your job as a pastor is not to try and find a language they can understand because that is just purpose driven gibberish for compromise. Your job is to present the real Gospel and find the chance to do that in every opportunity. The chance Joy Behar gave you, twice, was not that far a leap. At the end of the day here however you have inadvertently revealed why you could not do that. You answered to point her and the audience to your jesus. The hip one who for some reason thinks that Word of God is secondary to finding a connection with people and marginalizing their sin. So we do know a different jesus Carl. Your jesus operates under a different spirit. It is a spirit of this world that promulgates a different gospel. Your jesus may sound nice to people apart from God but he cannot save anyone. The truly sad thing beloved is the hundreds of thousands of followers of Hillsong and Lentz who will continue to put up with this different gospel easily enough. Hillsong like Corinth before it - there is nothing new under the sun.